Erin works for a university and likes to sit in and audit classes. She is currently writing a story about a murder mystery set in a university setting. 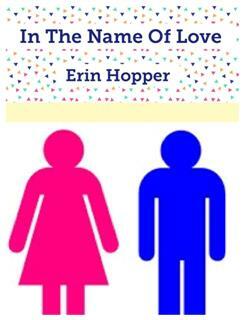 Erin has written several short stories and will continue to add to her list of publicatioins. Carolyn and her fiancée were arguing over their wedding. She wanted the wedding and reception to be a small affair but Mark wanted a large grand affair at the country club. Could they meet on middle ground or would this totally divide them? Then Carolyn has the perfect solution. Now if she can only convince Mark of her plan.